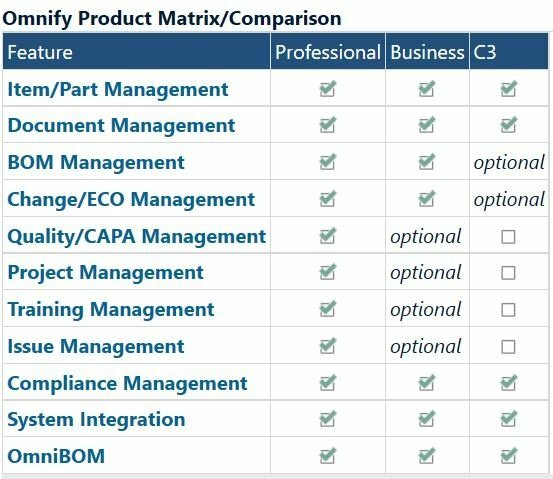 Designed with small to mid-sized manufacturers in mind, Omnify Software delivers scalable, affordable and flexible Product Lifecycle Management (PLM) solutions that can be deployed on-premises or in the cloud. We help customers eliminate the chaos of paper-based design and development processes by providing a central location to manage all product information. Documents: Design/Manufacturing Files, Datasheets, etc. Quality: CARs, PARs, Defects, Customer Complaints, etc.